By 2050, the world’s population is expected to expand from today’s 7 billion to way beyond 9 billion. To keep pace, the United Nations say global food production will have to double over the next 35 years. Yet the amount of farm land is shrinking. Biotechnology is the only way to feed that growing population, by increasing yields to get more food from less land. GMOs mean cheaper, more plentiful food to fight hunger in the Third World. It also cuts costs for consumers and raises livelihoods for farmers in developed countries. GMOs are a serious risk to the environment. Their seeds travel well beyond fields where they are grown. Cross-pollination creates herbicide-resistant “super weeds” that threaten other crops and wild plants. Tampering with crops’ genetic makeup impacts down the food chain: scientists say GMO’s have decimated butterfly populations in the United States, or led to birth defects among other animals. By the time we find out the long-term impact, it could be too late. Through genetic modification, scientists can give crops built-in resistance to pests. That means less need for pesticides that are potentially harmful to the environment. Studies show the introduction of GMO soybean and corn in the United States led to a 13 million kilo reduction in pesticide use in the 12 years up to 2009. By reducing the need to spray, GMOs also cut farmers’ fuel emissions, helping to fight global warming. 2. REMEMBER WHEN CIGARETTES WERE ‘HARMLESS’? Biotech companies use old “tobacco” science to argue GMOs are harmless or even beneficial to health. Yet GMOs pose an array of concerns. Mixing up plant genes can threaten allergy sufferers – like when Brazil nuts were crossed with soybeans. GMOs increase resistance to antibiotics, making medicines less effective. Fears have been raised over possible links to cancer, reproductive malfunction, digestive disorders. Nobody knows the long-term effects. Foods can be genetically modified to improve flavour and texture – peppers made spicier, corn given enhanced sweetness. In blind tastings, testers regularly rate GM foods higher than naturally grown alternatives. One, in 2007, found 60 percent preferred GM tomatoes. Genetic modification can also give food a longer shelf-life – meaning consumers get fresher taste and the environment benefits from less waste. Farmers hooked on biotech crops are at the mercy of companies that own the patents on seeds and set the prices. So-called “terminator technologies” could prevent growers using last year’s seeds to plant new crops, forcing them to keep buying from the GMO companies. There is plenty of evidence to counter claims GMO will increase world food yields and show non-GMO crops can perform even better. GMO production favours big business over small farmers and encourages the trend toward industrial-scale “monoculture” growing that’s bad for the environment, farmers and consumers. Biotech can make food healthier, giving lettuce a greater concentration of nutrients, reducing starch in potatoes or lowering the saturated-fat content of cooking oils. 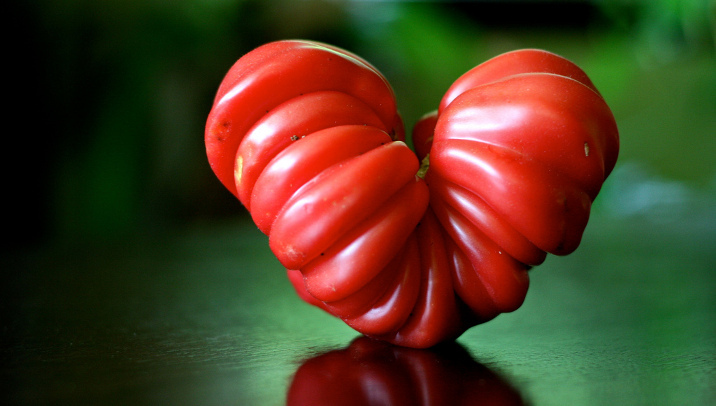 Studies suggest genes introduced into GMO tomatoes can increase their natural production of antioxidants that might help prevent cancer or heart disease. Improving the nutritional values of foods can be particularly significant in boosting diets for developing countries. Natural food tastes better and is better for you. We want apples that taste like apples, not artificially sweetened super apples. And we want the variety of products that come to us from nature. We also want to feel good about our food: a study last year suggested our taste buds and our consciences are intertwined. The research found consumers got more pleasure from eating food they believed to be organic or ethically produced.